The Quiz: Do you have a Green Conscience? 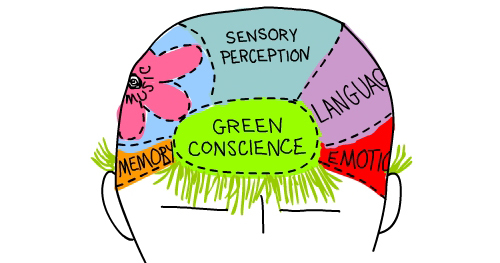 What bothers your green conscience? Most people don’t think of themselves as ‘environmentalists’ and yet almost everyone has a green conscience that bothers them on a daily basis. That little voice saying, ‘Oh, I shouldn’t throw that in the trash, it goes in recycling…’ Realistically, some of us will throw it in the trash anyway, but the conflict rages in our head. We know that climate change is a big problem, but we feel powerless. I think it’s time to raise the bar. We need to do more than just change a light bulb if we’re going to be successful in reducing carbon emissions. Each of us needs to listen to our green conscience, and then choose to do something ambitious. Something that will have a real impact in our lives. 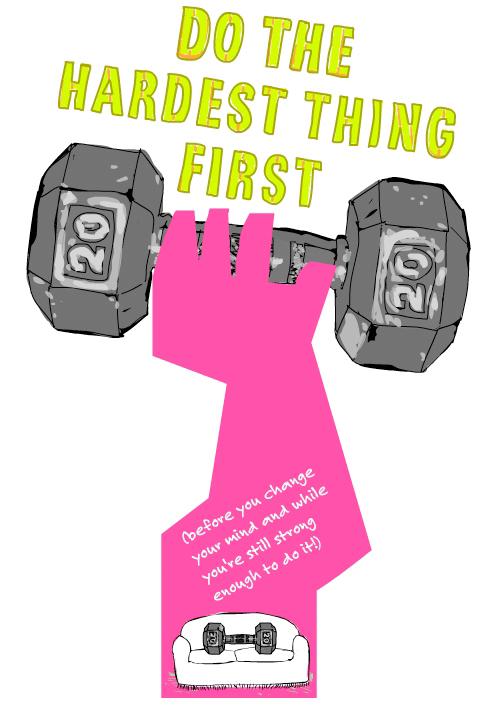 I call it ‘doing the hardest thing first.’ Because it’s far more satisfying (and FUN) to do something that is making a difference. Go back to the Six Tools workshop for ideas on how you can create your own climate change art!